The complaint, which was obtained by Fox News on Tuesday, alleges that Ocasio-Cortez and her campaign manager, Saikat Chakrabarti, ran a dark web of political action committees (PACs) that enabled them to raise money beyond the legal limits set in place by federal campaign finance laws. 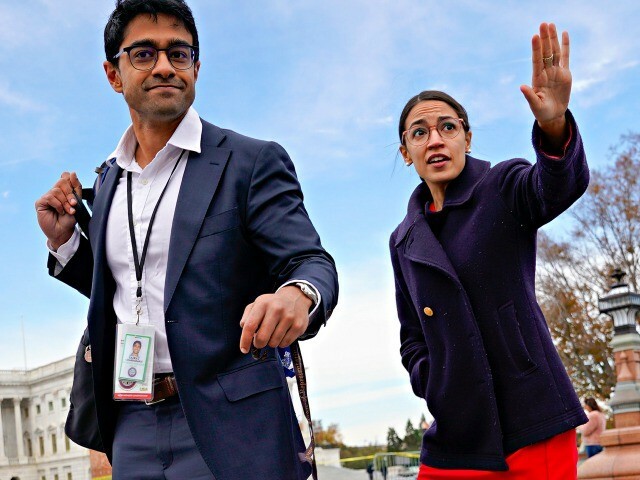 The FEC complaint also alleged that Ocasio-Cortez and Chakrabarti created a limited liability company (LLC) to go around federal expenditure requirements, offering political consulting services to Ocasio-Cortez and other Democratic candidates at extremely low prices. Chakrabarti’s group, Brand New Congress LLC, took on Ocasio-Cortez as a client and charged those clients “far below market value” while using PAC money to subsidize the company’s losses, according to the complaint. Dan Backer, a conservative attorney, filed the FEC complaint alleging that Ocasio-Cortez and Chakrabarti violated a group of FEC Advisory Opinions in place since the 1990s which state that campaigns have to pay full price for political consulting services or accept them as contributions. This is not the first FEC complaint filed against Ocasio-Cortez recently. The National Legal and Policy Center (NLPC) filed an FEC complaint against Chakrabarti for allegedly using two different PACs to funnel $1 million to two private companies he owned to hide campaign finance expenditures.